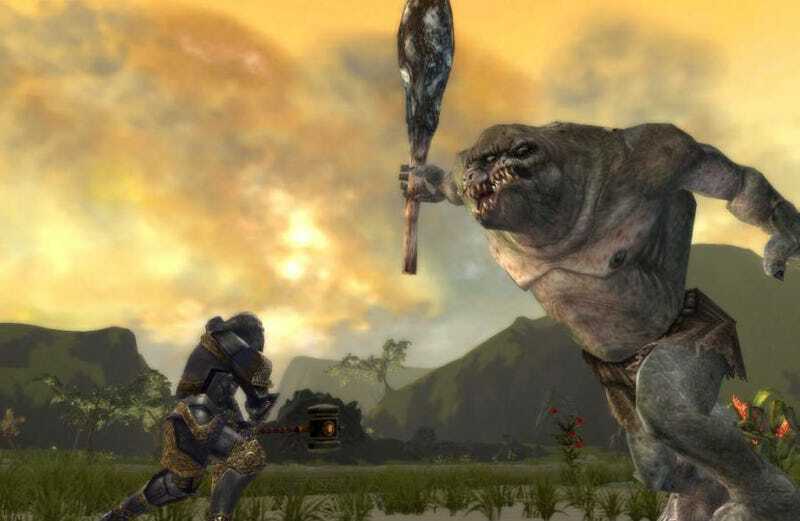 The original Guild Wars first came out in 2005. By MMO standards, it’s ancient. Two developers have taken it upon themselves to keep the game alive and, in the process, have figured out how to make it better than it’s ever been. Preserving old games is a monumental challenge in endless media avalanche year 2018. Doing so for massively multiplayer games whose best days are long behind them, though? That’s an entirely different sort of undertaking—less of an autopsy and more of a series of emergency surgeries on an elderly patient. The original Guild Wars, a fantasy MMO set in the world of Tyria, was released by NCSoft in 2005. It was overtaken by a sequel, Guild Wars 2, in 2012. Guild Wars 1 never died, but it fell off the radar half a decade ago, after ArenaNet automated its upkeep in 2013. A small but dedicated core of players continued to guild and war despite that, but the ravages of time eventually took their toll. Which is to say: Last year, Guild Wars 1's servers exploded. ArenaNet studio technical director Stephen Clarke-Willson, himself a longtime fan of the game, had been tasked by the company to move the game’s servers from an older platform over to Amazon Web Services last year. “I was just getting ready to dig into moving one service at a time into AWS when the data center Uninterruptible Power Supply failed to live up to its name and blew up—and fried a lot of electronics,” Clarke-Willson said in an email. In the process of testing out the changes, Clarke-Willson and Freist decided to start a thread on the Guild Wars subreddit, something the team tends to shy away from because they view it as a predominately player-run community. They were surprised to find that a lot of people were still interested in the original Guild Wars. Clarke-Willson figured an AMA would net “five or ten questions.” It got 380. “Now that I’m involved with the community, I can see little things I can do that improve the player experience,” said Clarke-Willson. With a renewed interest in Guild Wars propelling them forward, Clarke-Willson and Freist realized there were more ways they could sweep mountains of dust off the game they both credit with starting their careers. For all its forward-thinking design, Guild Wars was still created with 2005's technical limitations in mind. But it’s 2018. Modern gaming PCs are monsters compared to the sputtering baby boxes of yore, and Internet architecture has evolved into a new beast. Clarke-Willson and Freist began to wonder what would happen if they were to remove those limitations. The end result? A huge graphics update that took even longtime players by surprise. Using that methodology, Freist also managed to improve the game’s anti-aliasing, draw distance, and texture filtering, among other things. All of this has taken quite a bit of work outside of Clarke-Willson and Freist’s official roles at ArenaNet. And while they’ve had aid from the studio on things like QA testing, Freist has taken to touching up Guild Wars in his spare time, as well. While the state of Guild Wars’ development tools will make it exceedingly difficult to craft new content for the game, Clarke-Willson and Freist have plenty of plans for the future. Next, Clarke-Willson wants to clean up bots and spam, an issue he’s still kicking around ideas about how to handle. The broader goal for both Clarke-Willson and Freist is to keep the game enjoyable for as long as possible. Guild Wars, they believe, is uniquely well-positioned to withstand the test of time even though it’s an MMO.